Location, Location, Location. Tusculum Blvd across from Laughlin Hospital is a great location for your office, retail, or a home. 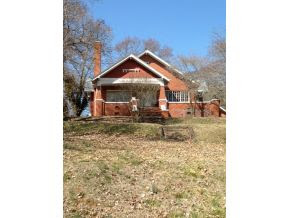 This 1930’s brick has 1858 sq ft on the main floor with a full basement. Front and side porches, new metal roof, large lot 148 X 253, B-4 Zoning. Hardwood floors, large windows, french doors, tile in the kitchen,. Home needs updating. Call office for an appointment.